Delta customers now have tailored Pharma options across the trans-Atlantic, alongside joint venture partners Air France-KLM Cargo and Virgin Atlantic Cargo who introduced the container earlier this year. In support of strategic investments in technology and improved customer service, Delta Cargo is now introducing the new CSafe RAP container to its cold-chain pharma program. This high-performing temperature-controlled air cargo container is ideal for pharmaceutical and life-science companies requiring strict temperature regulations to protect its contents from operational and weather challenges during shipments to patients around the world. 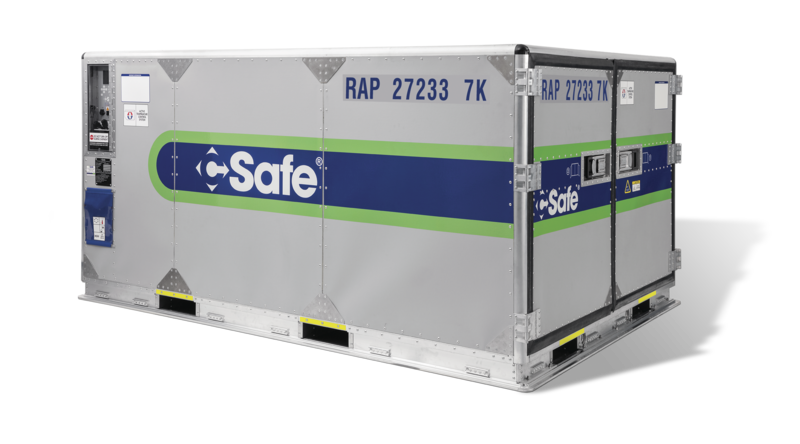 The CSafe RAP container has significant advantages for shippers as it utilizes innovative heating and compressor-driven cooling technologies, along with superior insulation, to maintain constant temperatures even at extreme ambient temperatures ranging from -30°C to 54°C — the broadest operating conditions in the industry. The large payload compartment easily accommodates up to four standard U.S. pallets or five standard Euro pallets, and the container has an extended battery run time of over 120 hours with efficiencies found in its best-in-class operating system. Delta received IATA’s CEIV Certification last year for the Atlanta warehouse and headquarters. To date, Delta has 50 Pharma approved stations around the globe with seven CEIV approved facilities in Europe and one in Asia, through partners airlines and handlers, all connected to Delta’s largest cargo operation in Atlanta.